"As with everything in the America's Cup, time is of the essence and in setting up the build facility we basically gave ourselves two months from the day we took over the lease of the premises to be ready to start building our first boat," explained Regan. "We really approached this set up with an open mind along with our typical number 8 wire thinking," said Regan. "We looked at the clean floor plan and thought about everything in terms of the production of the most technically advanced composite race yacht. From the layout of the three ovens, the heating, extraction, air conditioning, lighting, storage, lifting, access etc." "The beauty of winning the America's Cup and bringing it back to New Zealand is it gives us the ability to try to restimulate what has been a stagnant or declining industry over the past few years." "Typically, in with the objective of extracting every last detail of performance gain, the designers leave handing their final designs over to the production until the very last opportunity. Not only that, they continue to refine designs beyond specific deadlines so now we can make changes as the priorities shift which allows us to make design decisions a lot later but more advanced than we ever have been able to." Integral to the set-up of the base as always with Team New Zealand has been a number of key suppliers of the team. "We really couldn't have achieved what we have in setting this base up without our official suppliers. A huge amount of the cost in setting up has been met by suppliers with products, services and expertise - which never ceases to amaze us how valuable the support of everyday kiwi companies and their generosity is to us working towards defending the America's Cup in 2021. "Call me biased but I think we have put together one of the best composite boat building facilities in New Zealand, and hope that it will serve the team well for AC36, but also the wider marine industry on projects outside of the America's Cup." Emirates Team New Zealand yesterday released a brief statement confirming the panel will address a "case under way involving applications in relation to requested Protocol Amendments and the validity of Late Entry Challenges". However, yachting sources indicate the case involves late payments by up to three teams — certainly the Dutch challenge, possibly that of Malta and even the American Stars & Stripes syndicate. As prefaced in the Herald on December 22, the Dutch entry may have triggered the involvement of Emirates Team New Zealand's long-time ally and Challenger of Record for the 2021 Cup, Luna Rossa. the design, construction, crewing and racing of the boats. The Herald article stated: "The announcement of the Dutch challenge ... may be the first real test of the relationship between Emirates Team New Zealand and Luna Rossa. At that time, only the Dutch challenge seemed in question — but if the case in point is late payment fees, perhaps spread over a period longer than foreseen in the protocol, that could take the wind from the sails of Malta and Stars & Stripes. Both syndicates were rumoured to have a job to do to raise all the money needed when they entered ahead of the late entry deadline. While the teams are saying nothing, it is clear from Italian media late last year that tension has been felt for some time — with one Italian newspaper hinting strongly that deferred payments were the issue. While barring the challengers from the Cup seems unlikely, the panel's findings could affect the ability of a team or teams to gain more time to find the money to take the start line, and one or more could conceivably drop out. No first-time challenger has won the Cup, except Alinghi in 2003, when the New Zealand boat virtually self-destructed. The tension simmering below the surface does not augur well, particularly if ETNZ and Luna Rossa are in the process of falling out. They were firm allies in the efforts to relieve Oracle Team USA of the Cup. They collaborated in the 2013 regatta in San Francisco. In 2017, Luna Rossa pulled out of the Bermuda event in protest at Oracle Team USA's late design changes reducing the size of the boat and threw much of their weight behind the New Zealand challenge. Luna Rossa skipper Max Sirena spent 18 months working for ETNZ as a technical adviser in the Bermuda regatta. 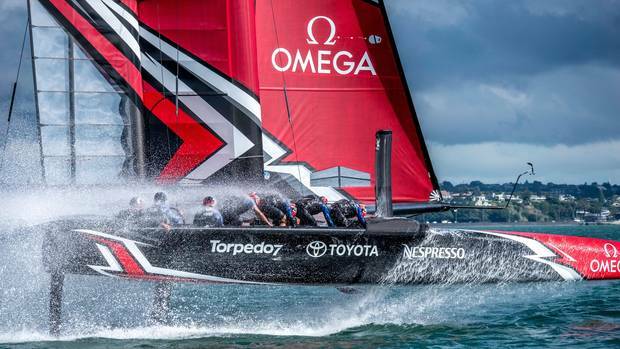 They were named Challenger of Record for the 2021 regatta almost as soon as ETNZ won in Bermuda and are helping with the design of the new AC75 monohulls — including the foiling arms. Luna Rossa is also the force behind the new challenger series and trophy, formerly the Louis Vuitton Cup, now the Prada Cup. 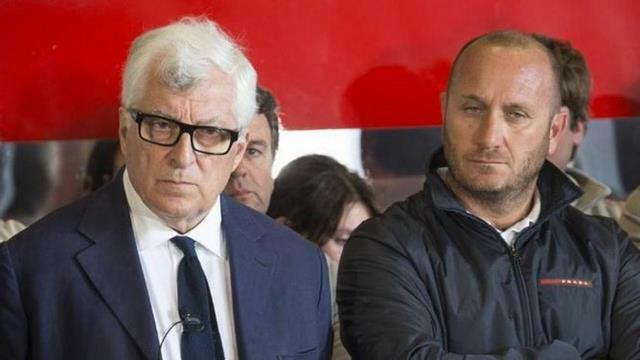 Luna Rossa principal Patrizio Bertelli is chief executive of Prada and is married to Miuccia Prada; their company is bankrolling the Italian challenge, along with Pirelli. The arbitration panel is expected to make its decision in April. The three-man panel comprises David Tillett (Australia), Graham McKenzie (New Zealand) and Professor Henry Peter (Switzerland). The six challengers so far are Luna Rossa, Ineos UK, Stars & Stripes, American Magic, Malta Altus and the Dutch. I wonder if they have to return the application fee if they deny the applicant? I wonder if if Patrizio is related to Austin Powers?